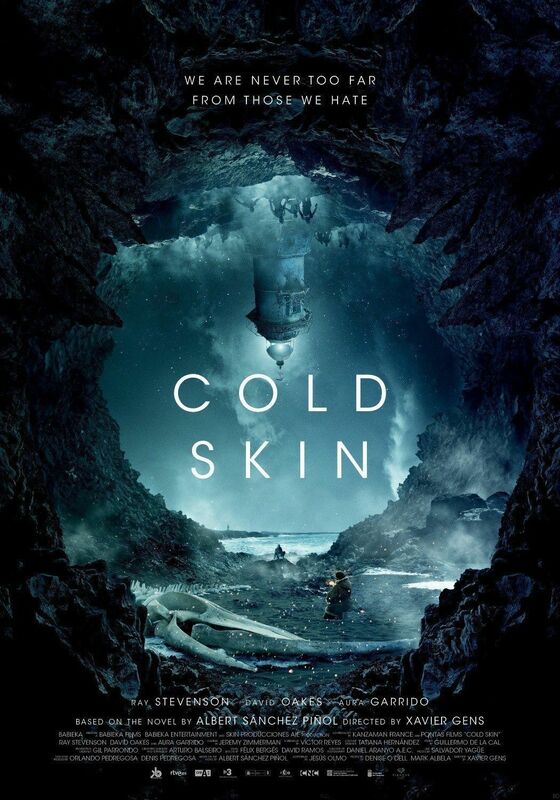 I am not sure what it is, but for some reason COLD SKIN really didn't work for me. I know that it is not that the film echoes several recent films and it has creatures that could pass for relatives of the star of THE SHAPE OF WATER. Several other films at Fantasia echo other films and I liked them just fine. No, there is something else afoot, only I'm not certain what it is. On the eve of the First World War a young man is dropped off on a remote barren island near the bottom of the world. He is to study and record the weather. He will live on the island for a year until relieved. He is not, however, alone on the island. Across the way there is a lighthouse- which looks more like a fortress in it's construction. It is manned by a curmudgeon of a man who wants nothing to do with anyone. And the island is further inhabited by fishmen who want to eat our hero. Generating almost no tension COLD SKIN falters by not moving like a thriller. In a weird way the film plays like a drama. Passages seem to be there to further some deeper meaning about human inter-relationships rather than producing scares. If the drama worked better I could probably have forgiven the bumps but it simply doesn't. The film also doesn't make a sense at times as plot twists either lay there or make you go "wha?" For example sticks are used to make bars for a window-except the island is barren. There are also some time jumps that left me wondering. By the half way point I stopped caring. It wasn't that it was bad, more it wasn't done well enough.